I received this mail from a friend in India. 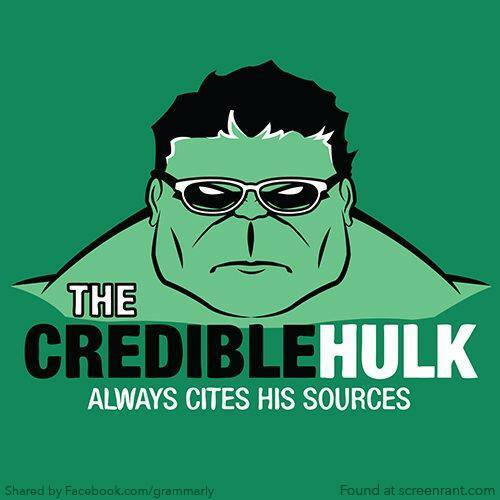 I do not know if this is being done here. 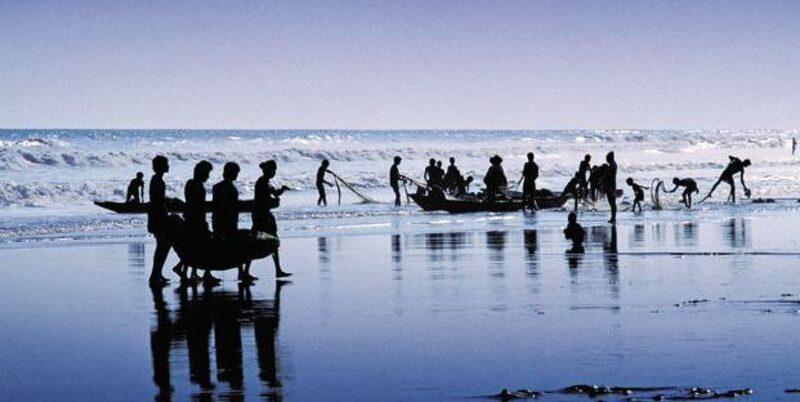 Nevertheless, be alert – if its not here (wherever in the world you are) already, it could well arrive soon. So, I surfed the net and oh my my … lots of information on ATM scamming and skimmers. I am writing this for people who are duds like me living in a cocoon. Nowadays, the crooks are getting wiser and wiser. They can steal our credit or debit card information without our knowledge by card skimming that has become increasingly common in the past few years. In essence skimmers – the electronic equipment and those who plant them are indeed a serious security threat to users of credit or debit cards at ATMs, gas pumps, credit card readers, etc. ATM Skimming is an illegal activity that involves the installaltion of a device, usually undetectable by ATM users. 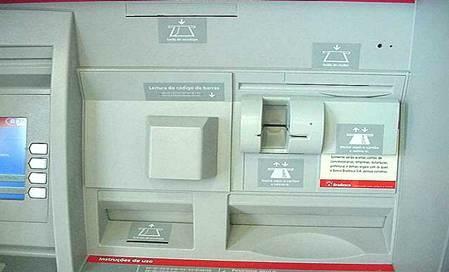 The skimmer secretly records bank account data when a customer inserts an ATM card into the machine. Criminals can then encode the stolen data onto a blank card and use it to ransack the customer’s bank account. Credit card skimmers are devices that crooks place over the actual card readers on an ATM or credit card terminal. The skimmers look like real card readers and their appearance range from mediocre to sophisticated equipment that are indistinguishable from an actual ATM equipment. When customers insert their ATM card into the phony reader, their account info is swiped and stored on an attached cell phone or laptop or sent wirelessly to the crooks lurking nearby. Phony card reader that swipe the account info. False keypad placed over the actual keypad to harvest the PIN numbers being typed. Hard-to-detect pinhole cameras mounted overlooking the keypad to peep and convey images of the personal information. that’s being entered such as PIN number. 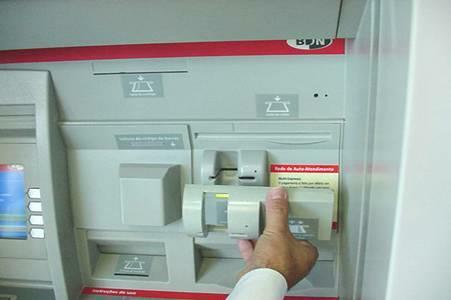 FIG 2: The skimmer (PHONY CARD READER) as it appears installed over the normal ATM bank card slot. 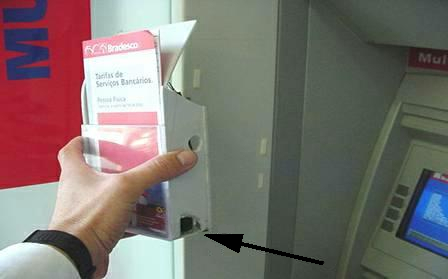 FIG 3: The PIN reading camera being installed on the ATM is housed in an innocent looking leaflet holder. The following are from the article “Taking a Trip to the ATM? Beware of ‘Skimmers’ ” posted by the FBI on their website. Inspect the ATM, gas pump, or credit card reader before using it…be suspicious if you see anything loose, crooked, or damaged, or if you notice scratches or adhesive/tape residue. When entering your PIN, block the keypad with your other hand to prevent possible hidden cameras from recording your number. If possible, use an ATM at an inside location (less access for criminals to install skimmers). 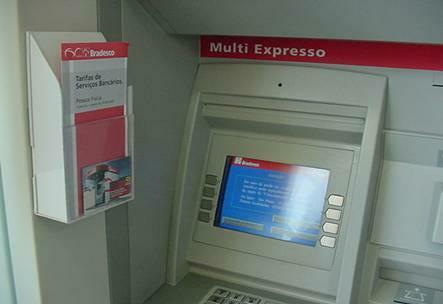 Be careful of ATM s in tourist areas…they are a popular target of skimmers. If your card isn’t returned after the transaction or after hitting “cancel,” immediately contact the financial institution that issued the card.